Phew! It's getting HOT here at SuperPhillip Central! Is it because of the summer heat, or are we just on fire lately? Anyhow, a new month brings a new Central City Census to vote on, but before we dive into that like ice cold pool water on a scorching day, let's take a look at the results of last month's poll. For August, we're dealing with mobile gaming. Some consider it a great thing, while others think it's a scourge against the industry! Of course, there are those in between and those who have no opinion. What side are you on? Central's favorite game of July! Our Christmas in July gift to our faithful SuperPhillip Central readers was twelve reviews! Maybe it was a gift to ourselves, too! In any case, this month expressed our love for indies with multiple games from independent developers for various platforms. We started off this indie-centric month with the awesome Armillo, rolling its way into a 9.0. We then took a detour to Vitaville with Uncharted: Golden Abyss (8.25) and Wipeout 2048 (9.0). 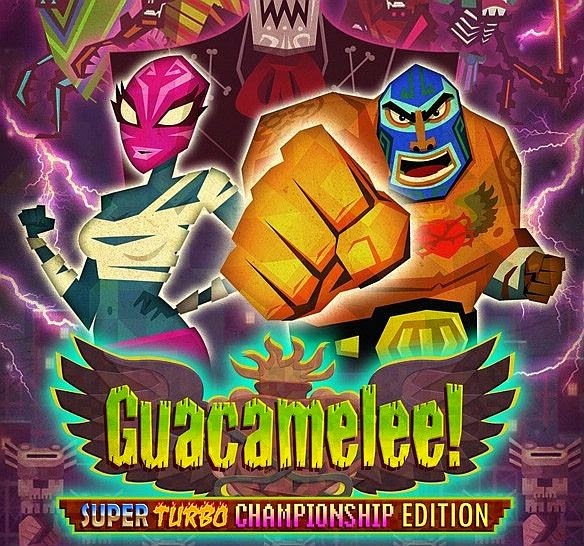 We went back to Indie City with Guacamelee! Super Turbo Championship Edition, a game that pile-drived its place to an outstanding 9.25. Need for Speed: Most Wanted U was next up with a 7.5 score. 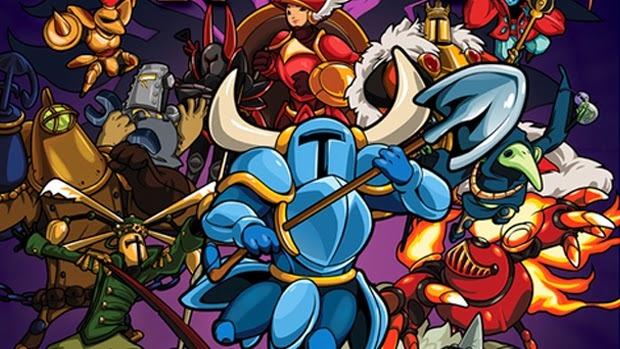 Our game of the month was Shovel Knight, digging up a super-impressive 9.5! Oh, it was also our 500TH REVIEW! We then bombed some bastards with Bombing Bastards for the Wii U eShop. That game got a slightly below average 4.75, making us almost wish we were bombing dodongos instead. Sonic and friends went zero gravity with Sonic Riders: Zero Gravity (7.0), and Disney's Hercules Action Game, by far the sexiest game name ever devised, received the same score (7.0). Finally, Super Toy Cars (4.5), Professor Layton and the Azran Legacy (8.75), and Crash Team Racing (9.25) rounded out the sizzling month of July. Stay tuned for August on SuperPhillip Central, where we'll hope to have reviews for Grand Theft Auto V, Wii Sports Club, The LEGO Movie Videogame, and some surprises here and there! We're gonna keep on keepin' on this summer! for that matter to dish out some damage. We're speeding to August in style, and to do so we're doing one more retro review to round out July! It's Crash Team Racing time! Is it not one of the best kart racers of all time? What a loaded question! How dare you! Here's SuperPhillip Central's review anyway! Naughty Dog gives a crash course in kart racing. Remember back in the day when mascot platformers were in high demand? How about mascot kart racers? Yep, those were popular back in the day, too. ...I miss those days. Thus, I decided to time travel, so to speak, back to 1999 and bust out my copy of Crash Team Racing. Giving Mario and his pals a run (or is it ride?) for their money, Crash Bandicoot and friends have a kart racer that's solid and most importantly, a blast, whether solo or with friends. Crash Team Racing is in no short supply of modes, making games like Mario Kart 8 jealous, even when that title has online play! The main single player mode is Adventure, which was obviously inspired by Diddy Kong Racing, a game that had just released the previous year. Players control one of eight characters as they progress through overworlds, collecting trophies, CTR tokens, relics, and gems in their bid to take down the evil Nitrous Oxide who wishes to turn planet Earth into one gigantic parking lot. Good for karts, bad for everything and everyone else. 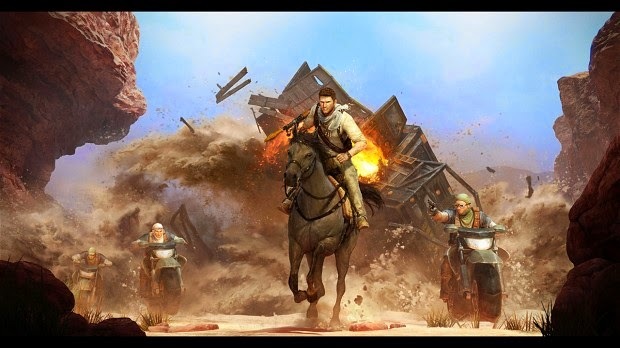 A pithy selection of races are available at the beginning of the adventure mode, but as races and trophies are won, new locations open up. Once all of the racing trophies have been earned in an area through getting first place, the boss garage opens. After a boss has been defeated, CTR challenges and relic races open up, as does a new area to explore and compete in races in. CTR challenges pit you in a race against seven other opponents. However, you must not only win, but you have to collect the letters C, T, and R too. Relic races are essentially time trials where running into differently numbered boxes stops the timer for a limited amount of time. While it's a nice twist on the adventure mode formula Diddy Kong Racing invented, Crash Team Racing's offering isn't as enjoyable a kart-filled quest. The relic races do encourage exploring every inch of each track, the CTR challenges less so, but I found them a bit tedious towards the end of the game. The boss races aren't nearly as entertaining as going up against a giant octopus, a trampling triceratops, or a flying dragon. Instead, you race against a fellow racer in a kart who throws one type of item behind him and creates a challenge through severe rubber band AI. My favorite part of Crash Team Racing isn't the wacky characters, that to be fair, I didn't grow up playing the Crash Bandicoot games so I really have no emotional attachment or interest in them. No, it's the track design, specifically the shortcuts available. Some offer some insane sections to slice off seconds from your overall time or create more distance between you and your competitors. A lot have a risk vs. reward dilemma to them (such as hopping off a ramp or hill at the exactly right time to make it over a wall), while others are just hidden well and require great skill to access them. riding around these parts, pardner! The tracks themselves take place on a wide range of terrain and environments, and they are a perfect length overall. Most do not outlive their welcome, and that's terrific for time trials where messing up on the final lap doesn't mean you have to redo five minutes of "work." To assist in getting the best possible times in races, you're going to need some skill and some finesse. An incredibly crucial kart racing maneuver in any kart racer that has any worth to it is the power slide. It works a bit differently in CTR than say, Mario Kart, but I don't say that like it's a bad thing. A power slide begins with a hop and a slide around a corner or turn. As the slide continues, exhaust builds from the back of the kart. When the exhaust turns black, that's your signal to hit the left shoulder button to create a makeshift boost. This can be done three times, taking into consideration when the exhaust turns black for each boost attempt, of course. The final of the three possible boosts lasts the longest. a screenshot to make you feel more at home! It's really challenging at first to steer your kart as you slide around a turn while simultaneously watching the exhaust for when to boost. However, once this has been learned (which doesn't take too terribly long), it becomes second nature. I even found myself trying this in Mario Kart 8 because my mind must have subconsciously forgot what game I was playing! While power slides are an essential to liven up a kart racer, so are items. Crash Team Racing has enough of those in both offensive and defensive forms to keep races interesting. Thankfully, CTR uses a Mario Kart 64-like position on items. What I mean by this is that you will never see the AI using a CTR equivalent of the blue shell. Instead, they tend to stick to boosts, bombs, missiles, and flasks, which in Mario Kart lingo become mushrooms, green shells, red shells, and banana peels respectively. answer to Mario Kart's Super Star. Where items come out of boxes with a question mark on them, boxes with no symbol on them produce Wumpa Fruits. Continuing to compare this game with Mario Kart item-wise, Wumpa Fruit are the coins of that series. Collecting more increases your maximum speed. However, having ten in your possession makes the strength and power of your items stronger. A normal TNT box that would give a player caught in it time to escape will turn into a NITRO box, immediately blowing up player who runs into it in a glorious explosion. 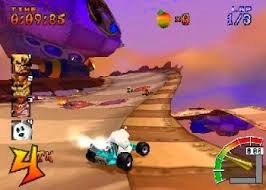 Crash Team Racing delivers multiplayer thrills for when just competing against computer racers gets a bit dull after a little while. The game supports up to four players, though for three and four player action you'll need the Multitap peripheral for the original PlayStation version. Even with just two players, going against the AI and competing in four race cups is a wildly exciting and thrilling time. to get into first place! 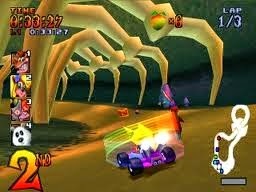 I was amazed by how well Crash Team Racing holds up in some graphical regards. As many know, a lot of the PS1 era titles don't look too great, particularly the 3D ones. Crash Team Racing does have its ugly moments, but overall it isn't that bad of a looker. There is some chugging in the frame-rate here and there, which is unfortunate to see-- that is important to note. On the sound side, the music has high notes and low notes. There just seems to be more low notes (i.e. highly forgettable tracks like everything other than a handful of pieces) than high notes (i.e. the main theme of the game, the results screen, the lobby themes). 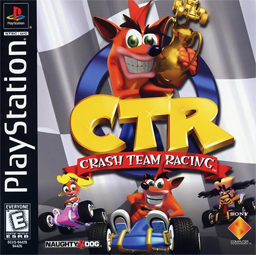 Crash Team Racing was indeed the PlayStation's answer to not only Mario Kart but then-popular Diddy Kong Racing. 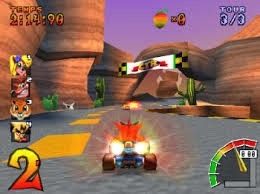 With a capable adventure mode, lots of multiplayer options, plenty of unlockables, tight controls, and solidly designed tracks, Crash Bandicoot's racing debut delivers a rewarding kart racing experience that is unmatched on the PlayStation platform and wouldn't be matched until the PS3's Sonic & SEGA All-Stars Racing in the kart racing arena, almost a decade later. 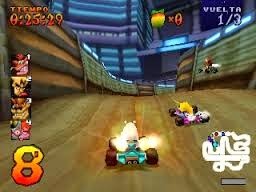 This is probably preaching to the choir, but Crash Team Racing is a well done kart racer that's still worth a spin today. Hello there! We've two more days until August, so why don't we have two more reviews? Perfect! 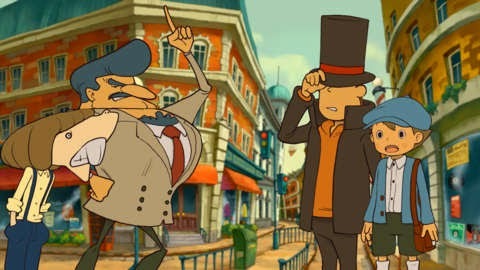 The first review is for Professor Layton and the Azran Legacy, the final entry in the Professor Layton games as we know them. Here's the review. Since his debut on the Nintendo DS, Level 5's Professor Layton series has shown players an amazing amount of humor, charm, perplexing puzzles, and enchanting mysteries throughout its previous five installments. Now, Professor Layton is taking to the proverbial stage one last time for one last adventure. Does the Professor Layton series end on a high note with Professor Layton and the Azran Legacy, or is the last puzzle to solve why the series ended on a low point? 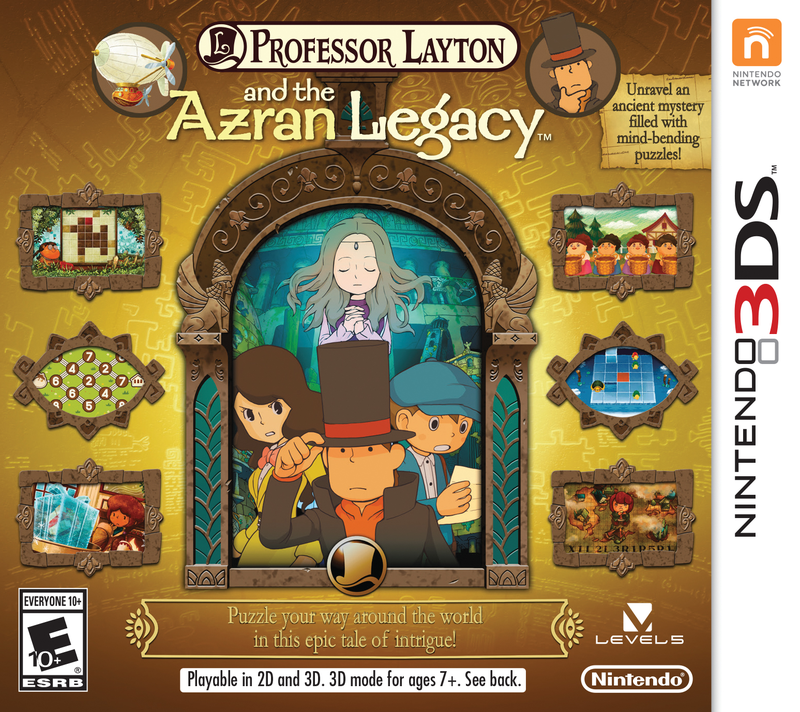 Professor Layton's latest and last brings him, his faithful apprentice Luke, capable assistant Emmy, and newcomer Professor Sycamore on a globe-trotting journey to hunt for a series of mystical eggs left behind by the long-gone Azran civilization. However, an organization known as Targent is also after the same thing and will do anything to get what it wants. like little prizes as you play along. Professor Layton and the Azran Legacy starts off like a rocket, introducing the groundwork that leads to the adventure around the world, and had its pace continued throughout the game, it would have been one of, if not, the best entry in the series. However, upon reaching the portion of the game where you're tracking down the Azran eggs, the story hits a speed bump. Instead of following the very interesting and captivating overarching plot, Professor Layton's party ventures to five unique locations, each housing an egg. 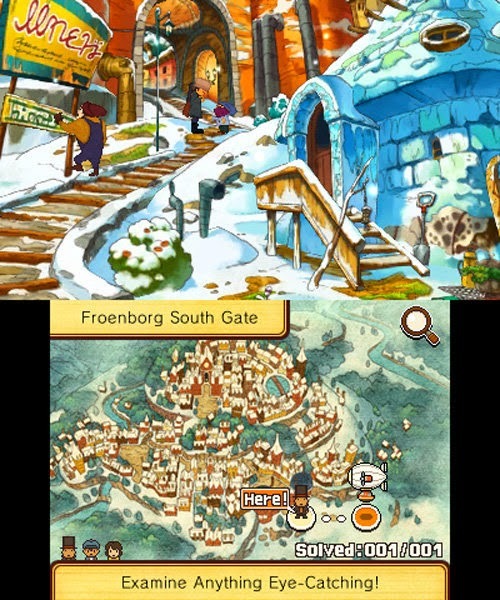 While the ability to take Professor Sycamore's Bostonius airship to any destination you'd like opens up the game immensely, offering an unprecedented amount of freedom in a Professor Layton game, the main plot of the game takes a backseat to a bunch of self-contained miniature stories for each of the five locations. of locations to journey to this time around. It's not until all of the eggs have been located that the main story continues and there's a greater motivation to play through the game in bigger bursts. With each of the five self-contained plots and areas, I would just feel like making it through to the conclusion of one or two plots would be enough of a gaming session. I didn't feel a need to push on, which is a high contrast to the rest of the game. 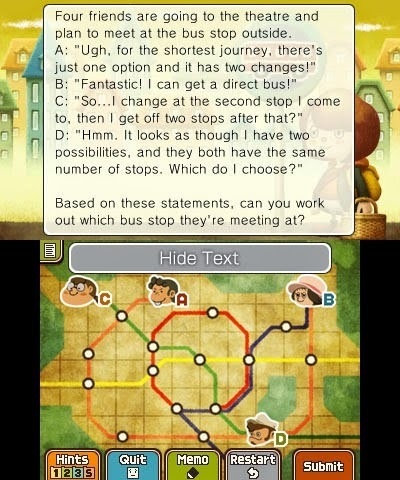 The plot and game progresses through typical Professor Layton fashion. You talk to various NPC's, which usually won't part with their piece of information to further progression through the game until you solve a puzzle. These puzzles are brain teasers that involve logic puzzles, mathematical equations, and some trickery here and there put inside for good measure. Whether you're tasked with lighting up all of a city's streets while following a specific rule where no light of the same color can intersect, or fitting differently shaped squares into a puzzle without overlapping any pieces, the sheer variety and amount of puzzles available are staggering. Each puzzle is worth a certain amount of Picarats. The higher the amount, the more difficult the game's developers have decided that puzzle is. Getting the puzzle's solution correct on the first try nets the maximum amount of Picarats, while failed attempts lowers the amount available through solving it. These Picarats are used for late game puzzles that are only available through earning a high total of Picarats, and these puzzles are the toughest of the tough in Professor Layton and the Azran Legacy. Thankfully, you're not thrown to the puzzle wolves in this game. As series veterans know, each puzzle houses four hints that can be paid for using hint coins. Hint coins are found by investigating the various environments of the game. As more hint coins are used on a puzzle, the solution usually presents itself in a much clearer, less abstract way. While it's fun to come to a solution on your own, it's not worth frustrating yourself, so using hint coins is a nice compromise between getting some helpful nudging in the right direction and just giving up and looking up the solution online on a walkthrough or something. in the white van marked "CANDY." A most welcome addition is the World Times. Using locations already ventured to in Professor Layton and company's worldwide adventure, the World Times newspaper reports on little happenings and mysteries in these places. Not only do these open up humorous side stories, but they also reveal new environments of old places to explore and new puzzles to solve. The longevity of Layton's sixth game is further expanded upon through three side games. Nut Roller has you helping a squirrel roll his walnut around a course strewn with obstacles in hopes of reaching the goal. 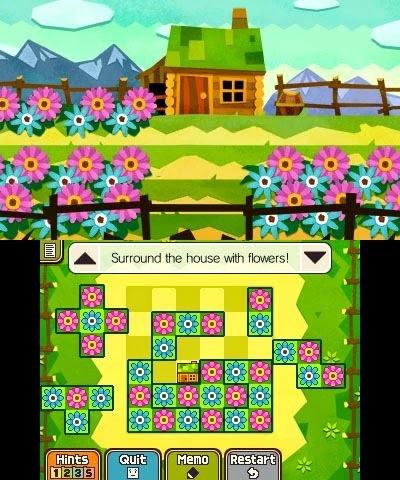 Blooms and Shrooms puts a puzzling twist on a green thumb's favorite hobby, gardening. Finally, Dress Up is the most involved side game in Azran Legacy. It gives Professor Layton and his apprentice a job they've no doubt dreamed about diving into, fashion consulting. Through carefully listening through each NPC's very particular tastes, Layton and Luke must come up with an ensemble that adheres to their desires. The reason this is the most involved side game is that it requires accumulating an entire wardrobe of clothing pieces, all found by progressing through the story. Professor Layton and the Azran Legacy uses the 3DS's features in an overall lovely way. 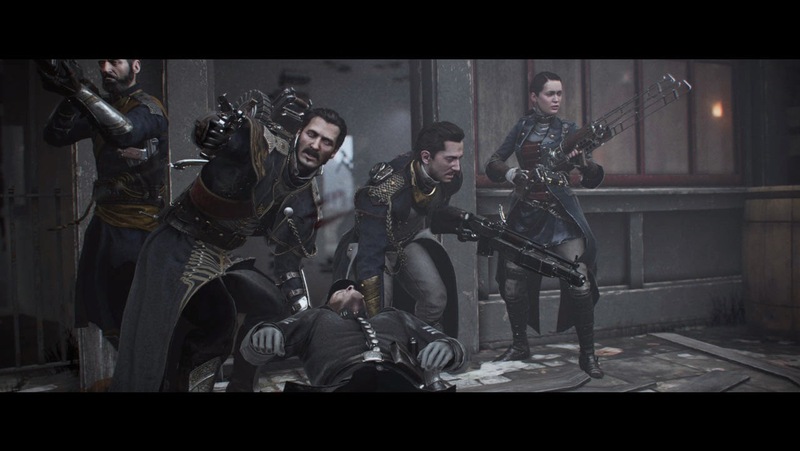 First and foremost, the stereoscopic 3D effect is incredibly pronounced, and it makes the characters come out and at you in a most impressive display. The puzzle portions of the game themselves don't use 3D particularly well or at all, but the effect shines brightly everywhere else, especially a specific flight segment early on in the game. The stylus can be sole method of controlling Azran Legacy, just like every other past entry. Whether it's moving a magnifying glass around the environment for investigation or for handwriting in numbers, the touch control aspect of the game works splendidly. both new and returning greet players. StreetPass is also featured in Azran Legacy, offering treasure hunts. Through coming across various items and objects within the backgrounds of areas, players can come up with a list for other players to find. Successful treasure hunts reward players with cool 3D dioramas, objects, and more that I won't spoil as much as I have already. Playing through Professor Layton and the Azran Legacy feels like a wonderful interactive storybook. The polish is beyond compare, the illustrations and attention to detail are amazing, and the various intricacies from little eccentricities in character movement to the way characters speak is phenomenal. Sure, the designers could have called it a day and phoned it in on puzzle pages, but even these feature stunning polish and details, such as cute animations and little humorous effects. For a final entry in the franchise, Professor Layton and the Azran Legacy continues the impeccable quality and standards of the series. It won't leave as big an impression as the stupendous Unwound Future, but it will get you a bit teary eyed as you bid farewell to the wonderful world and cast of characters that the Professor Layton series possessed. Housing an immense number of entertaining puzzles and side content, Professor Layton's last full-length adventure is one worth experiencing. 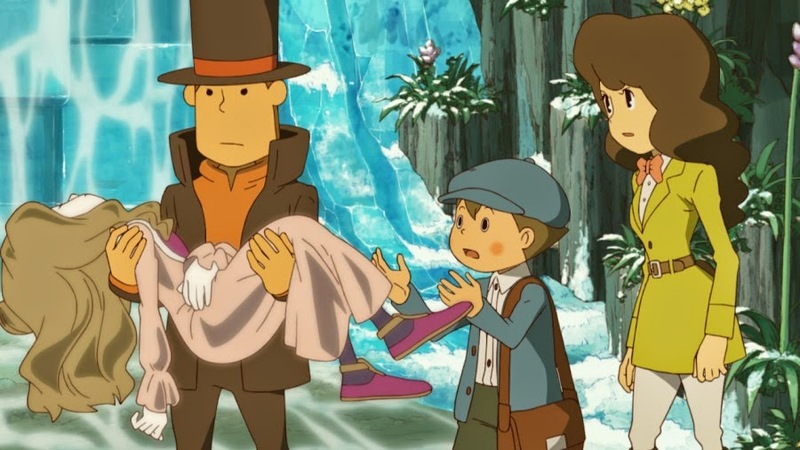 Take your final bow, Professor Hershel Layton. You have most certainly deserved it. Welcome to SuperPhillip Central's Favorite VGMs! Our focus with this segment is to showcase the best and brightest themes within the universe of video games. Do you like video games? Do you like music? Then you'll most likely enjoy what we have to share in this weekly dose of VGM goodness. This week we have music from Disney Epic Mickey, Sonic Generations, and Pokemon Gold, Silver, and Crystal! 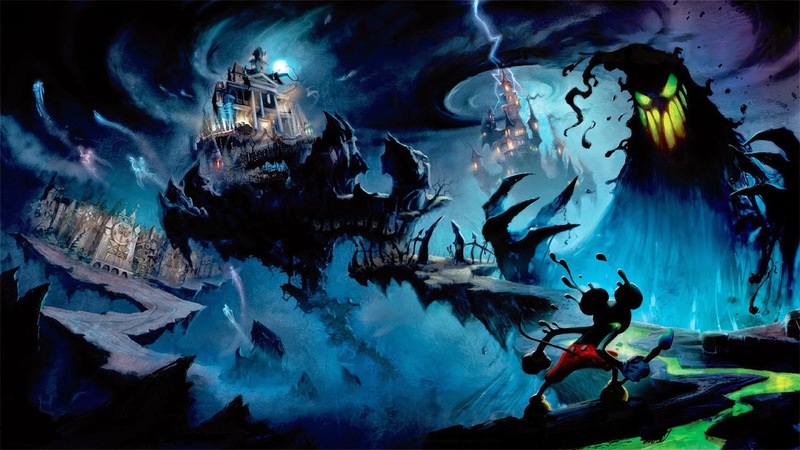 One of the greater disappointments in recent gaming history, Disney Epic Mickey was a Wii project that owners of all other systems were envious over. However, that envy eroded once it was apparent that the final product was not going to look anything like its impossible concept art. Still, at least one can enjoy the soundtrack, offering a wide array of moods with its symphonic sounds. Sonic Generations was Sonic Team and SEGA doing the Sonic the Hedgehog series right. It was a perfect formula to build off future games off of. Instead of doing that, however, we have a completely different and according to previews, mighty unsatisfying direction taking place for the franchise. 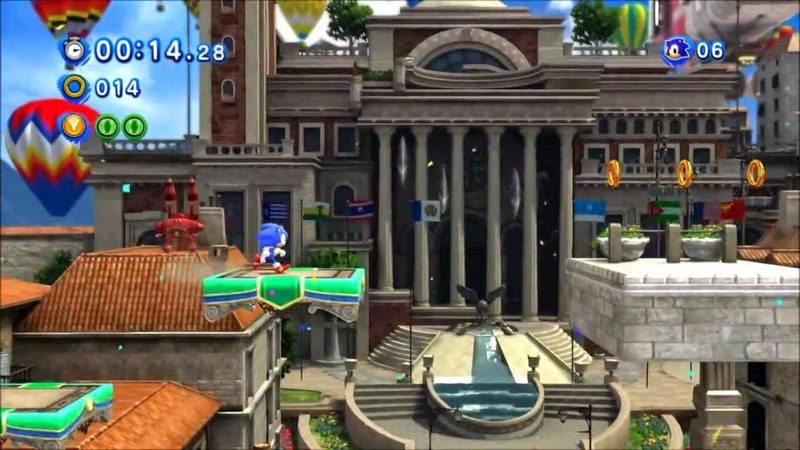 Like all Act 1 levels in Sonic Generations, Classic Sonic's 2D escapades are to be enjoyed in these levels. v673. 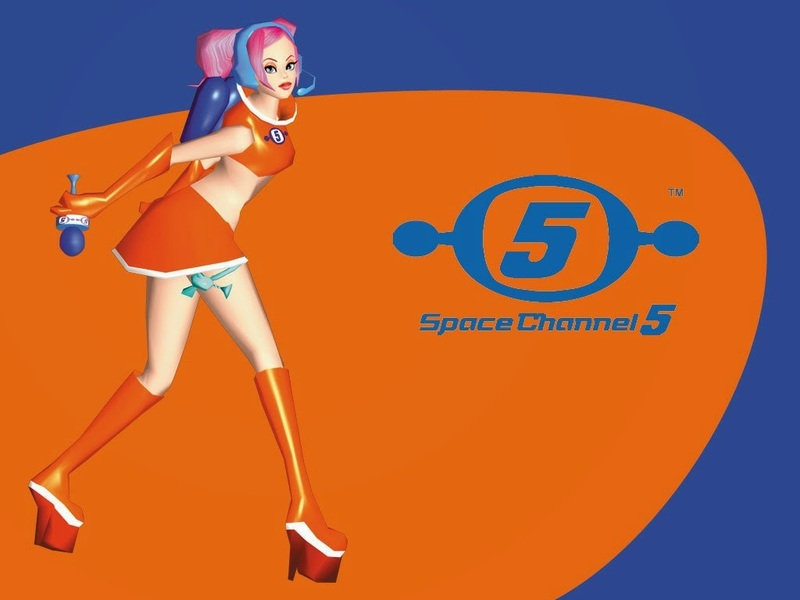 Space Channel 5 (DC) - Spaceport: Introducing Ulala!! Ken Woodman was the original composer to Mexican Flyer. The producer behind Space Channel 5 enjoyed it so much that he suggested that SEGA buy the rights to it. Thus, SEGA did, and the song and all of its remixed forms became synonymous with Ulala and the Space Channel 5 franchise. 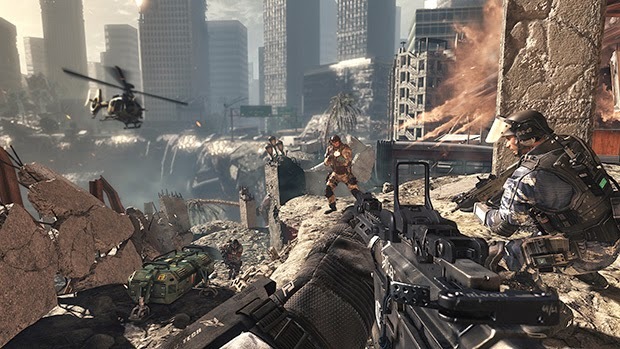 The Sky Crawlers was a project that crossed two media: video games and anime. The anime aired in Japan in all of its animated glory, while the Wii game released in most parts of the world. 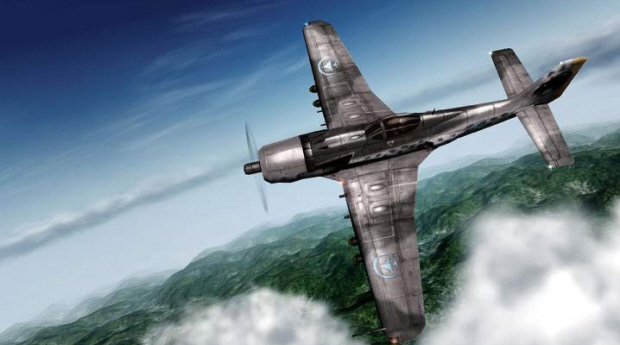 It was nice to see Project Aces work on something other than Ace Combat even if just for one game. The most appealing part of The Sky Crawlers: Innocent Aces was the superb music that accompanied players on the various missions in the sky. Let's go old school with this last VGM volume of this edition of SuperPhillip Central's Favorite VGMs. 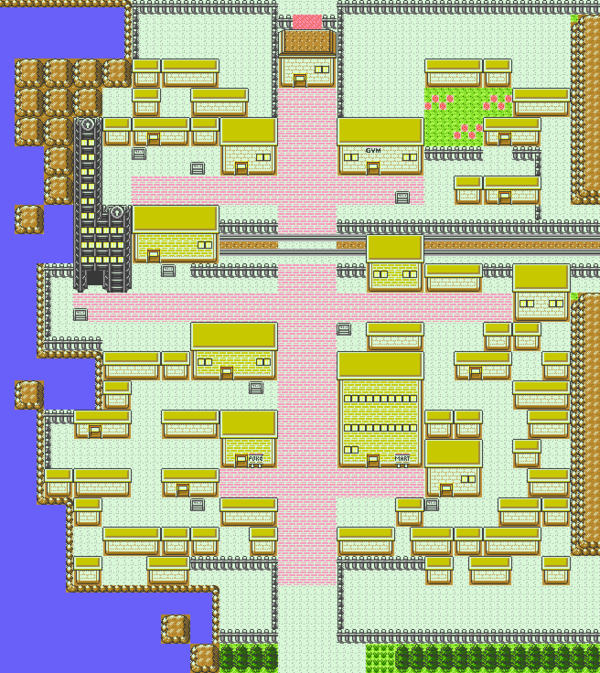 We turn our attention to Pokemon Gold, Silver, and Crystal with this listen to Goldenrod City's theme. It's a cheery theme that satisfies the aural senses with its chiptune loveliness.